Is your water making you dumb? Thought your tap water was pure? 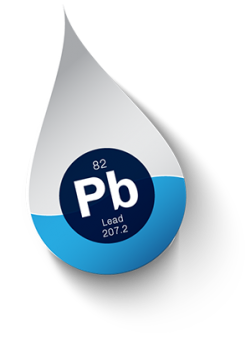 Think again - deadly toxins lurk unseen every time you turn on the tap. This deadly toxin lurking in many water supplies might be the hidden cause. And the worst part is that, you could be exposed to it on a daily basis, and not even know it. quantities, it interferes with zinc absorption in our bodies, which rattles brain cell growth and can even lead to a decreased IQ for your kids. 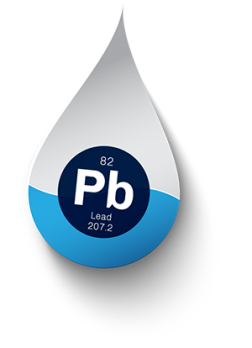 systems failed to notify consumers about the high lead levels as federal rules require. But Here's the Really Scary Part. Creating Contaminant- Free Tap Water Simply Isn't Feasible. According to the National Academy of Sciences, there are more than 100,000 potential contaminants in our drinking water, and current analytical methods just don't exist to effectively monitor them. The U.S. EPA has compiled a list of 100 potentially risky chemicals and 12 microbes that aren't even regulated yet... but are known or expected to be found in our public water systems. We know this is true, because scientists have identified more than 200 industrial chemicals - from pesticides, flame retardants, and jet fuel - as well as prescription drug residue that's been found in the blood or breast milk of Americans. Millions of Americans Still Drink It: Why? The problem is not easy to fix - so you need to take matters into your own hands! the people who pre-ordered the product have been amazing to say the least. now pick one up for just $249, saving you $100. Bottled water is expensive and an environmental disaster. concoction for you and your family to drink. Under the sink reverse osmosis systems do produce extremely pure water and can be an excellent solution, but they require professional installation and maintenance, and are too pricey for most folks to afford. And that’s not all. The dirty little secret of most reverse osmosis systems is that they are extremely inefficient. About 90% of the water that enters the system can’t be handled by the RO filter and goes right down your drain. I've personally tested the AquaTru™ unit and I'm very impressed. I've scoured the test results. I've asked probing questions. And, I can assure you, this is the real deal. According to the American Water Works Association®, almost 2/3 of all bottled water sales are single 16.9 oz (500 ml) bottles, which means that consumers are paying about $7.50 per gallon for bottled water, about twice the cost of a single gallon of gasoline. In fact, if you are buying and drinking the recommended eight glasses of water a day, you could be spending up to $5840 each year for a family of four. TAP WATER that's purified using the same reverse osmosis technology as AquaTru™? Now you can make your own bottled quality water for just pennies a gallon. 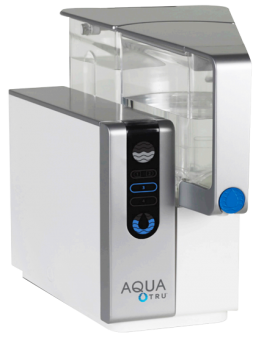 AquaTru™ is a miniaturized version of a built-in RO system. It sits easily on your counter or under any standard kitchen cabinet. What's more, you can take it with you if you move, and even when you travel – it's perfect for RV’s, boats and extended stay vacation spots. makes filling up your glass or water bottle fast and convenient. 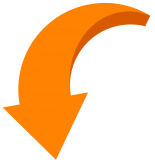 AquaTru™ even tells you when it's time to change the filters. And start using AquaTru™ to purify your everyday drinking water, cooking water and water for your pets (your dogs and cats deserve clean water, too). And remember, order right away if you want to get your hands on one of the 500 units that I've secured at the deeply discounted price of $249 ($100 of the normal $349 retail price). Once they're sold out, you'll need to buy it at the full retail price. P.S. Still not convinced AquaTru™ is as good as I say? Then take a look at this dramatic 'Diet Coke ®' demonstration where AquaTru™ turns a case of Diet Coke ® into pure, clean drinking water. All I can say is...be prepared to feel your jaw drop!